Burkhard Langemann has a passion for the integration of spirituality and science. A unified understanding of Eastern and Western Philosophies is the focus of his personal practice and academic research. He holds a Master’s Degree in Psychology and Alternative Education from the Free University of Berlin, where his thorough exploration of Ken Wilber’s Integral Theory culminated in a thesis in Holistic Development. 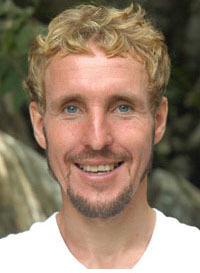 Burkhard Langemann began studying yoga in India in 2001, and since then he has dedicated more than 3,000 hours to the study of hatha yoga, kundalini yoga, meditation, and yogic philosophy. After completing more than 1,000 hours of teacher training, he became a certified Yoga and Meditation Teacher (IYF and RYS-500) in 2008. He started his meditation practice following the Vipassana style of Theravada Buddhism and has practiced under Ajaan Tong Sirimangalo in Northern Thailand. He has participated in more than a dozen Spiritual Heart Retreats lead by his primary meditation teacher, Sahajananda, who introduced him to the richness of Advaita Vedanta. 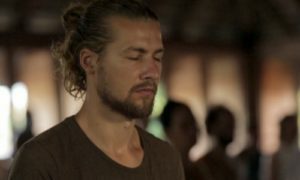 Burkhard completed and co-organized the first Hridaya Meditation Teacher Training Course, and is shares his experience in a variety of contexts, including private life-coaching sessions, yoga classes, meditation retreats, workshops, and teacher training courses.